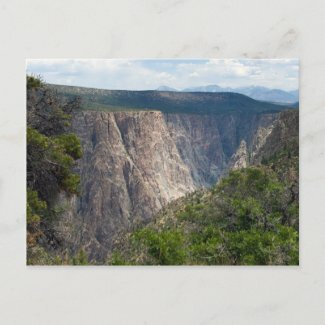 If you’re like most people, you probably haven’t heard of the Black Canyon of the Gunnison. This deep, vast canyon is over 40 miles long in the southwestern corner of Colorado. The closest well known town is Aspen, to the northeast. The canyon plummets over 2,000 feet in some places, with beautiful black marbled granite rock. The descent is nearly vertical, making a giant gash in the surface of the earth dating back to 1.7 billions years ago. …yes wineries! Surrounded by the Rockies, these lush, green mountains provide the perfect temperature to grow wine. The “playground of the rich,” Aspen, is located to the northeast. A popular ski destination, this town has boomed in the past two decades, with average home prices now in the millions. Directly to the west, the town of Moab offers Utah’s best selection of tightly packed National Parks for your buck. Canyonlands, Capitol Reef, and Arches are all within just a few miles of each other. Monument Valley is to the southwest, and New Mexico directly south. Some of these destinations may not be all that close together, but they would make an incredible road trip experience.